I love notebooks! Yes I do. There is just something wonderful about grabbing a pencil and a notebook and starting to write. As I begin to write, ideas just start to flow, I get inspiration from somewhere, I am not always sure where, but it is almost magical. I am a bit of a notebook nerd. 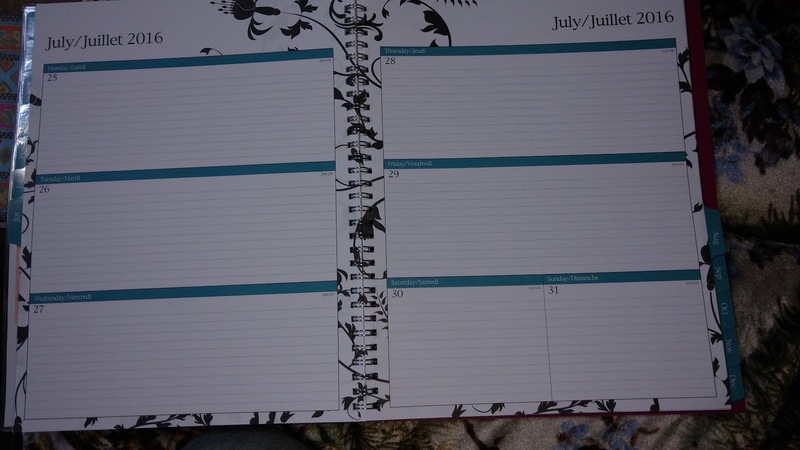 I love notebooks (oh ya I already said that) and keep notebooks on all kinds of things. Big ones, little ones, fat ones, thin ones, well you get the picture. I love them, but for now just know that I am a bit of a freak when it comes to writing notes. In fact if I see a notebook on sale, I have to buy several of them. My kids will attest to that. 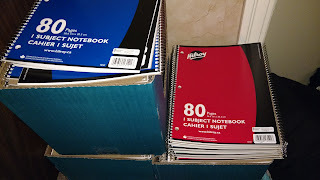 I was at my favorite store shopping some of the back to school sales with my daughter and we found the nice coil bound 80 page notebooks on sale for .10 cents! Wahoo! I picked up 20 of them and thought to myself, "Now I won't have to buy notebooks for another year." On the way home I started having second thoughts about my purchase, not because I bought to many, but because I thought that perhaps I should have purchased more. When I told my son about it he laughed and said, "Let's head back there and I will help you bring more home." So off we go and I bought $20 worth of notebooks! Do the math, it was awesome. We laughed all the way home at our silly purchase, but I knew for sure I wouldn't run out of notebooks for a long time to come. Yes, I keep idea notebooks, character notebooks, to do lists, reading notebooks, quote books, novel notebooks, study notebooks, and so many other things. Here is a great list of some of the different kinds of notebooks you could keep, and I will go into more details on some of them over the next little while, in my Notebook Monday posts. 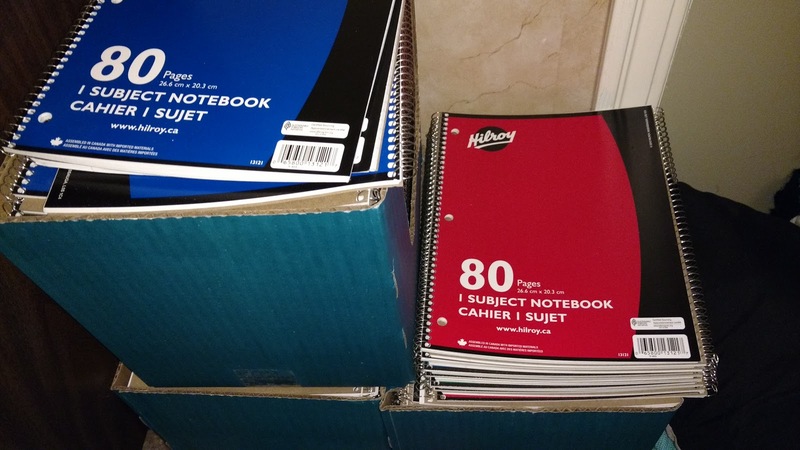 Okay, I think you get my idea here, and possibly why I purchased $20 worth of .10 cent notebooks. I can write a lot of things for a very long time. Much of what I write in my notes eventually gets transferred to one or more of my blogs. I love to learn and study. As I study, I write notes. Each time I write the notes and re read them I learn more. There is just something magical about a pen / pencil and a notebook. It makes me happy. I challenge you to pick up a pen and notebook and see where it takes you. It doesn't have to be a cheap one like the ones I bought, it can be something that you love, something that you will take with you everywhere you go and write in it always. I have a few of those ones too. 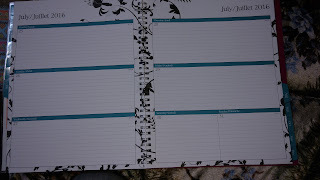 I also have my daily planner that is like my right hand notebook. It has space enough to write all kinds of things in it. Notebooks, sigh...... doesn't that just sound wonderful? Nobody to judge your writing, nobody to tell you it is silly, just you, your pen and a book. Your very own writer's notebook. I love your notebook collection. It is so cool. I love all the things you use them for. Thanks! It is definitely something I love too. Thanks for stopping by.